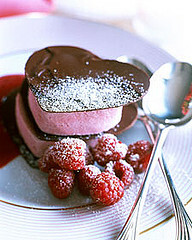 DO SOMETHING SWEET FOR YOUR SWEET! Valentine's Day is just around the corner. A gift certificate to Grosh's Lawn Service is a great gift for any loved one! Visit our website or give Tom a call to purchase. Help Grosh's Lawn Service grow! Tell your family, friends, co-workers, Facebook friends, and even your boss. After they see the type of work Grosh’s Lawn Service does you will get a promotion! Your referrals result in discounted services. Call Tom at 301-842-0062 or send him an email with questions. 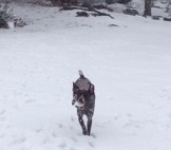 Meet Cammie, a German Shorthaired Pointer. Cammie loves the great outdoors in winter, spring, summer, and fall! Email Tom with a photo of your pet and it will be featured in an upcoming newsletter. Adults and children are more productive when working in environments with plants, and cognitive function is improved. Consider adding something green to your home or office. Read more tips on the Grosh's Lawn Service website here. We are a few weeks away from Daylight Savings time and spring. Call or email Tom today to discuss how the Grosh's Lawn Service team can help you with your spring landscaping needs. Want To Surprise Your Valentine? Looking for a special way to surprise your loved one? 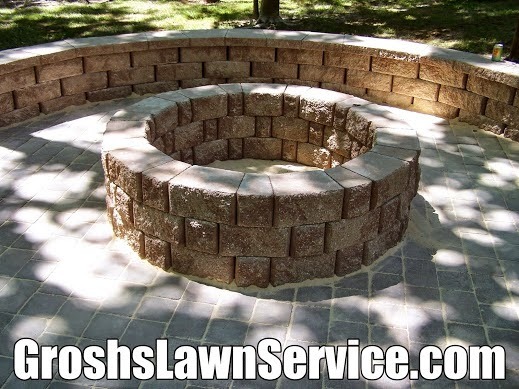 Consider booking Tom and Grosh's Lawn Service to schedule a spring hardscape project at your home. 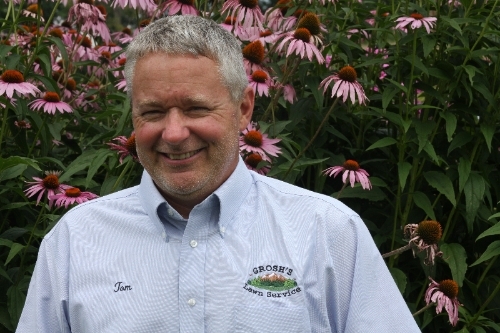 Proper planning is the first step to every successful project and the second successful step is to contact Tom and Grosh's Lawn Service to get on our schedule. Daylight Savings time, and spring, are just a few weeks away, so surprise your special someone with a custom designed hardscape plan for your backyard. Imagine spending your time with family and friends surrounding your custom fire pit and sitting area. This dream can become a reality with the help of Tom and the Grosh's Lawn Service team. Tom would love to put his 25 years of experience to work and design you a customized hardscape that will add value to your home and allow you to enjoy the great outdoors all year long! Send him an email or give him a call today at 301-842-0062! Adding a custom hardscape means your home will be "the place to be." Your friends & family will always want to stop by and spend time at your home! Click here to see examples of Grosh's Lawn Service custom hardscapes. What Are Others Saying About Grosh's Lawn Service? Wanted to touch base. My tenant sent me some pictures and my wife and I are both incredibly happy and impressed with what we've seen. Well done Sir! I had full confidence in you based on our interactions and even more confidence when family friends of my wife, John and Ruth M., offered up some praise as well. here to read the great things our clients are saying about our services!